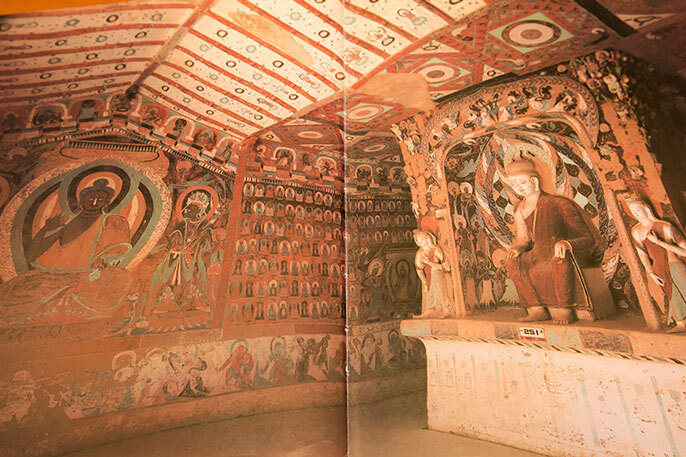 Many of the archaeological, art historical and textual remains left behind on the trade routes are now found at hundreds of remote cave sites scattered throughout far-western China in Xinjiang and Gansu. But scholars say that this romantic image is only a sliver of what life might have been like on the ancient Eurasian trade routes. UC Berkeley is opening the P.Y. and Kinmay W. Tang Center for Silk Road Studies, the first institutionalized center in the U.S. dedicated to the study of the historical trading networks serially known as the Silk Road, thanks to a $5 million gift by two branches of the Tang family — Oscar Tang and his wife, Dr. Agnes Hsu-Tang, who are based in New York City, and Bay Area UC Berkeley alumni Nadine Tang and Leslie Tang Schilling, with their brother Martin Tang in Hong Kong. Sanjyot Mehendale, the center’s chair and a lecturer of Central Asian art and archaeology, teaches a class on Iranian art. Among the UC Berkeley scholars on the center’s advisory committee are Jacob Dalton, a professor of Tibetan Buddhism; Patricia Berger, a professor of Chinese art; and Sanjyot Mehendale, a lecturer of Central Asian art and archaeology, who will serve as the inaugural chair of the new Tang Center. Renowned cellist and humanitarian Yo-Yo Ma and Francesco Bandarin, UNESCO assistant director general for culture and a UC Berkeley alumnus, will serve as the center’s honorary advisers. Understanding the ancient civilizations on the Silk Road requires an expertise in Buddhist studies, of which UC Berkeley is a leader. Established in 1972, Berkeley’s Ph.D. program is the only freestanding doctoral program in Buddhist studies in North America. An important component of this program is the study of Buddhist textual materials in classical languages, many of which have not been spoken for centuries. Students in Berkeley’s Buddhist studies department learn to read ancient Chinese manuscripts, among others. Robert Sharf, a professor of Buddhist studies at UC Berkeley, says that studying these texts helps scholars rediscover the lost Buddhist civilizations that once flourished along the oasis towns of the Silk Road but have become forgotten since the mid-eighth century. UC Berkeley has an extensive collection of copies of manuscripts and studies of the culture, religion and art of the Silk Road, housed in the campus’s East Asian library.